You can have your expedition and luxury, too with Seabourn’s newest additions to their fleet. These two ultra-luxury, purpose-built ships will take travelers to some of the world’s most exciting destinations without sacrificing Seabourn’s high level of service and comforts. Learn more about what to expect on Seabourn’s new expedition ships below. The doors used by guests to go on and off the ship will be placed at the waterline so it is easier to step into the Zodiacs. It will be less time consuming – and stressful – to get off the ship and explore! These custom-built ships will also have the latest technology and hardware needed to venture to hard-to-reach places like Antarctica and the Arctic. With more than 9000 square feet of open deck space, travelers will have no problem taking in their surroundings. There will also be high quality optics mounted in various areas on the decks for an even better viewing experience, weather permitting. It’s easy to see what is going on above water, but what about below? Both of these ships will have two submarines onboard so guests can experience what the world is like under the sea. The ships will also have plenty of kayaks and Zodiacs for guests to use while exploring. During your expedition with Seabourn, you won’t just visit exciting destinations; you will also learn about them from experts. The crew will include a 26-person expedition team of naturalists, wilderness experts, scientists, and historians that will answer questions and teach guests about their experience while on board. You may be in some of the most remote places in the world, but you will still have the luxuries that set Seabourn apart: spacious suites, gourmet cuisine, and white-glove service all in a relaxing atmosphere that feels like your home away from home. 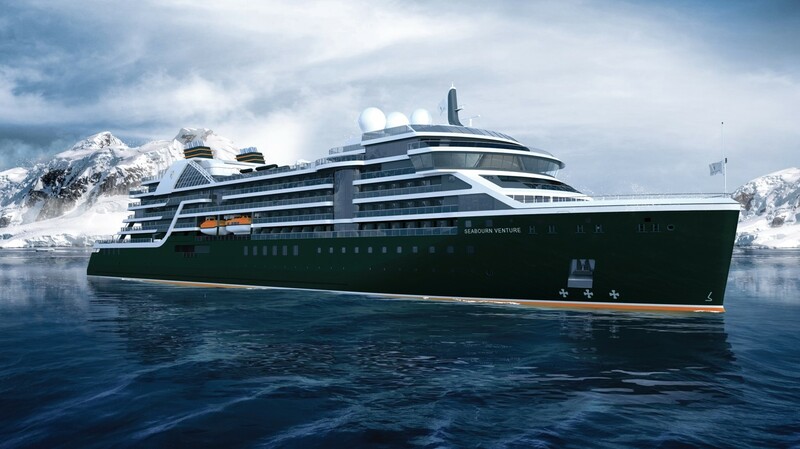 The first of the 264-passenger ships is set to launch in the Arctic in late summer 2021. Itineraries and booking availability will be released in Spring 2019. Click here to start planning your trip with Seabourn!